Confessions From A Stay At Homo (SAHM): Cheerie-Oh! You are such a great photographer! These are just adorable. 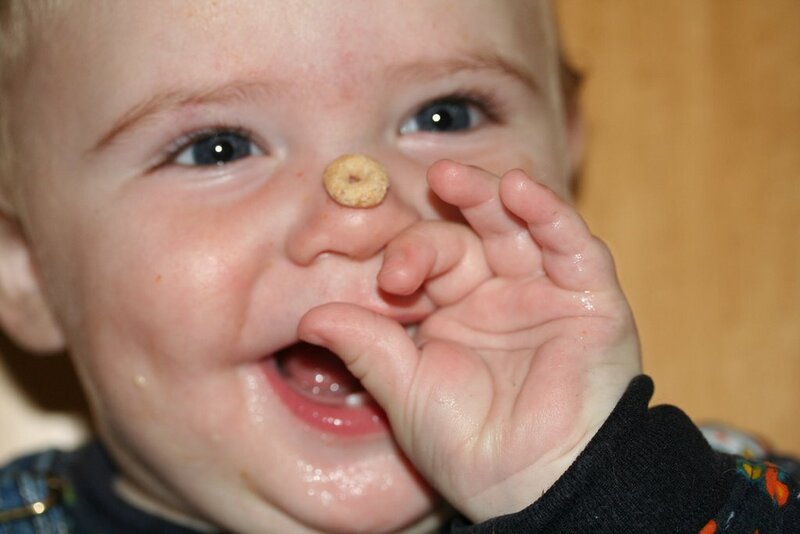 They look like an ad for cheerios. How adorable! 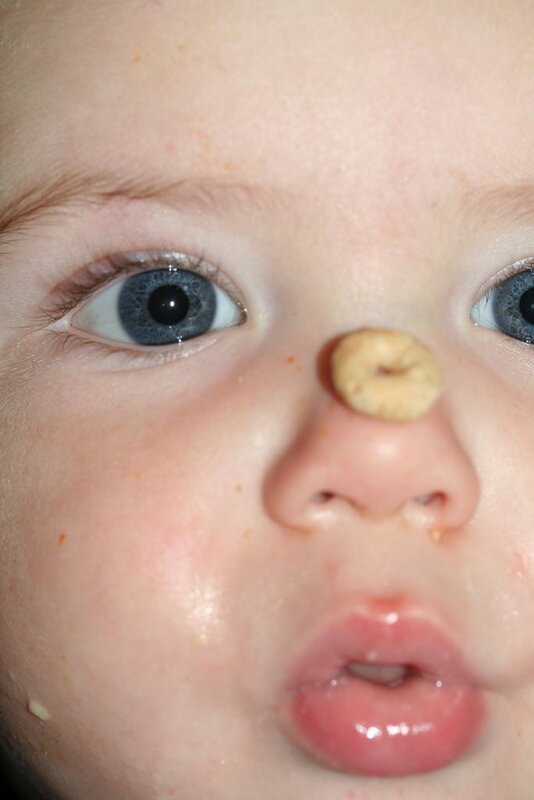 How in the world did you get the Cheerio to stay on the nose throughout all the picture taking? That's not only excellent photography skills but one talented kid as well! 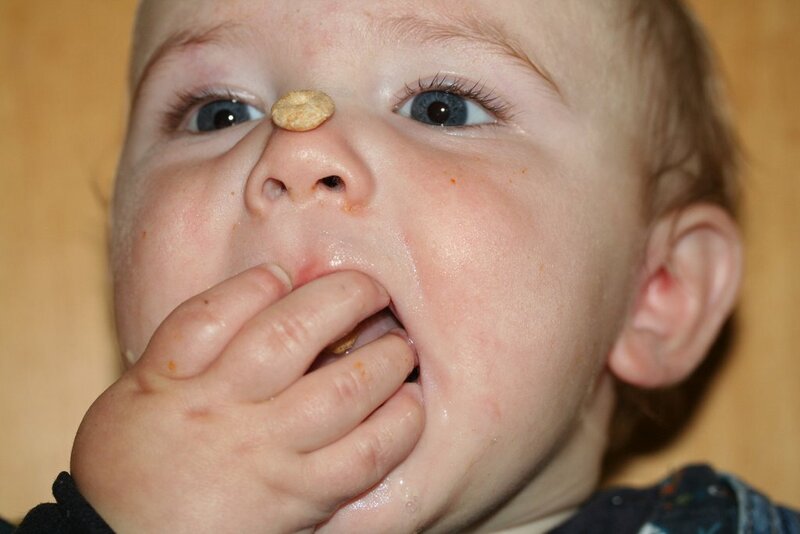 If you look up close at the picture, you'll see the myriad other foods on his face. . . Carrots, apple puree. . . etc. That makes for good mortar. 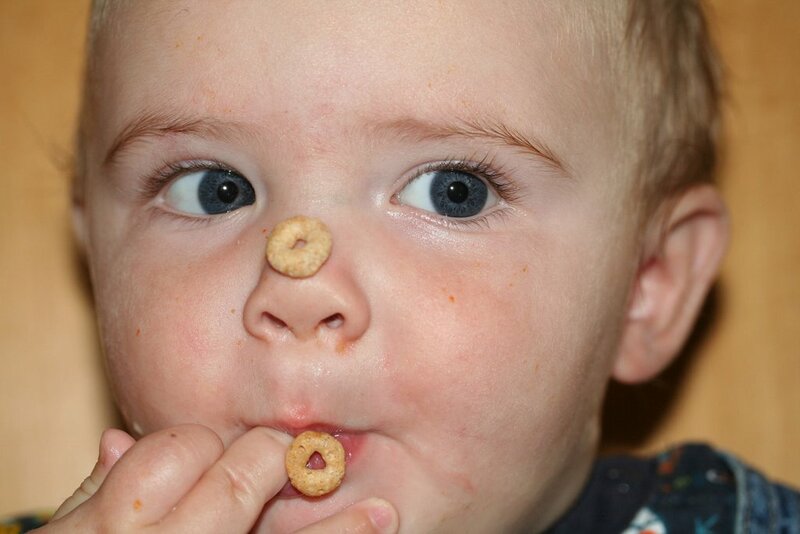 The Cheerio was stuck!